The book titled One of Many by Reuben Bauer lists the Conrad Albrecht family. Conrad was born in Norka on April 9, 1873 and was confirmed in the Reformed faith in 1888 by Rev. Wilhelm Staerkel. In February 1895, Conrad was married to Miss Elizabeth Derr who was born in Norka on August 25, 1877. Elizabeth was confirmed at age 15 by Rev. Staerkel. This couple with two children and Conrad's mother (Christina Marie Albrecht) emigrated from Russia in February 1900 and arrived in Stony Plain, Alberta, Canada several weeks later. Upon arrival, the couple joined the Reformed Church (a log building at that time). In later years, they were active members of the Glory Hills Baptist Church. The children born to this family were: Henry (September 12, 1896), Katie (October 30, 1899), John (July 17, 1901), Elizabeth (March 22, 1903), Emma (June 3, 1906), William (May 10, 1911), Annie (June 14, 1913), Adam (April 9, 1914), Reuben (May 13, 1915), Lawrence (May 1917), Clarence (July 19, 1919), and Sarah (April 3, 1922). 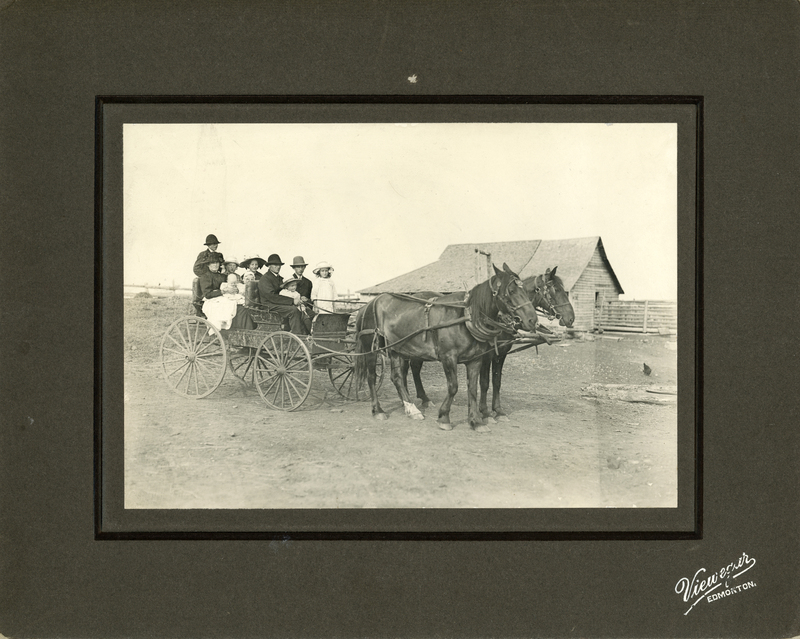 The Elizabeth and Conrad Albrecht family on their way to church near Stony Plain around 1914. Back of the wagon: John; Middle of the wagon: Elizabeth holding Adam, Lizzie, Annie, Katie; Front seat of the wagon: Adam holding William, Henry and Emma. Photographs courtesy of Donna Palmer Wakefield and the caption is courtesy of Debbie Pietrzykowski. 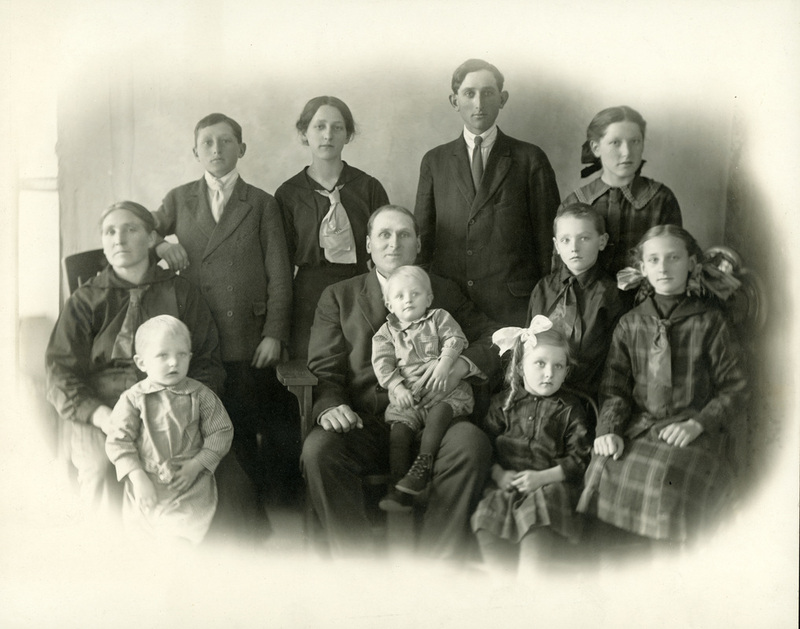 The Elizabeth and Conrad Albrecht family in Stony Plain. Photograph courtesy of Donna Palmer Wakefield and Debbie Pietrzykowski. 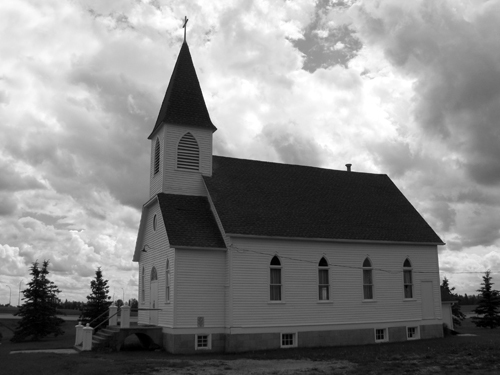 The Hope Reformed Church in Stony Plain, Alberta, Canada courtesy of Debbie Pietrzykowski. ​Donna Palmer Wakefield, June 2013. Reuben A. Bauer, One of Many (Edmonton, Alberta, Canada: Imprimerie La Survivance Printing Ltd., 1965), pp. 55-57.